A chocolate cake shapes the guest experience in Hotel Sacher Salzburg! 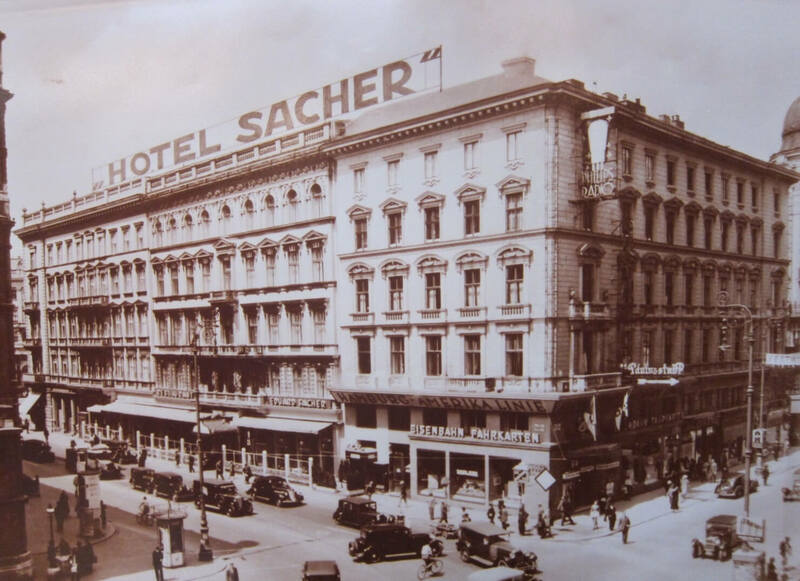 Being the only grand hotel in Salzburg, and with its sister property, Hotel Sacher Wien, having a long history and background as the top luxury hotel in Vienna, one would expect Hotel Sacher Salzburg to be a beautiful yet distant and impersonal luxury city hotel. But the case is completely different here: using the world’s most famous chocolate cake, the Original Sacher-Torte, as its major concept and reference point, the hotel has managed to deliver a guest experience which is not only upgraded, but also friendly, personal and, above all, infused with chocolate! 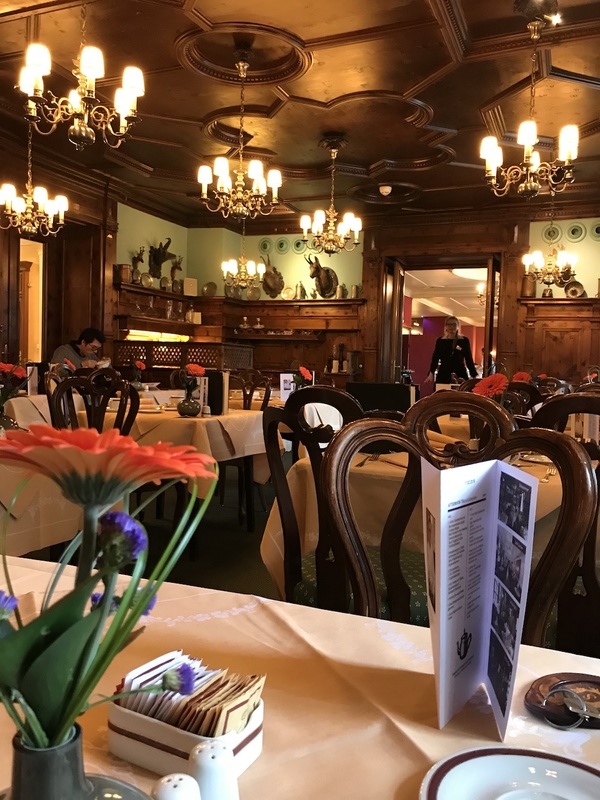 In this article, we will go through Hotel Sacher Salzburg’s exceptional character and we will discover how important it is, not only to have a clear and specific theme for your property, but also to be able to integrate it in every aspect of the hotel’s operation. It was the year 1832 when a coincidence led to the creation of the most famous chocolate cake in the world: the Original Sacher-Torte. Franz Sacher, a chef’s 16-year-old apprentice in a noble house of Vienna, was asked to create a chocolate cake that would please the master’s guests. What seemed to be a task of ‘mixing simple ingredients together’, ended in a delicious result, that was perfected by Sacher’s son, Eduard, a few years later. In addition to making his father’s cake perfect, Eduard also established a hotel in Vienna, called Hotel Sacher in 1876. The hotel has been the ‘talk-of-the-town’ and the top luxury property in Vienna since then, becoming a landmark for the whole city. 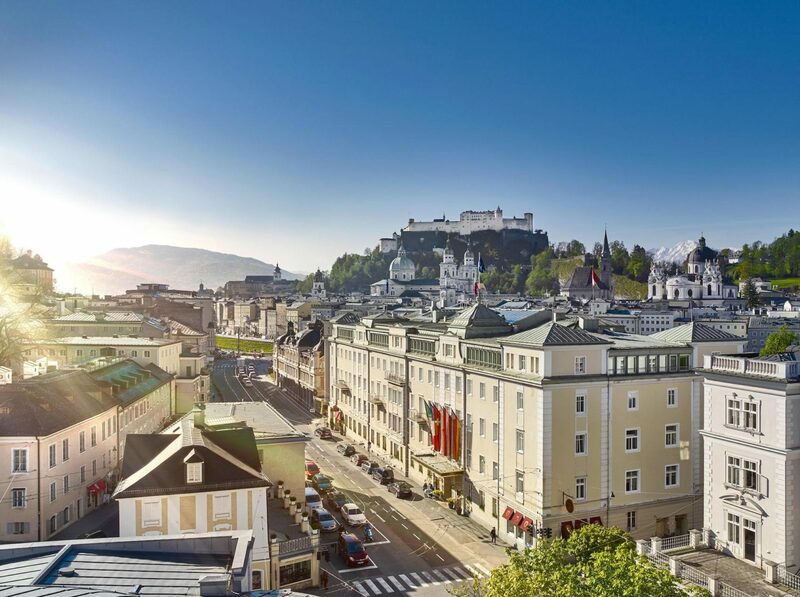 In 2000, the current owners renamed their second property in Salzburg to ‘Hotel Sacher Salzburg’, bringing the glamour and splendour of the Vienna hotel to the picturesque hometown of Mozart. 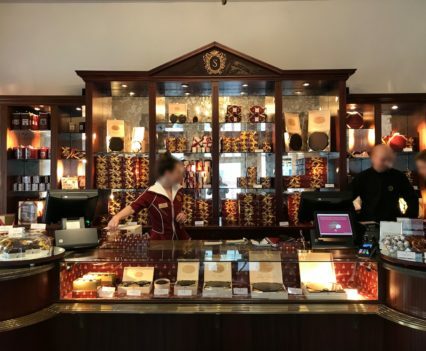 Acknowledging the Original Sacher-Torte’s global popularity and influence, Hotel Sacher Salzburg could not help but shape its entire philosophy around the cake — and chocolate in general. Throughout the property and in almost every experience a guest lives in this hotel, the cake is proudly present. From the room directory to every single F&B outlet in the hotel, the Original Sacher-Torte is there to tell its story and ask the guests to taste it. More often than not, hotels with a specific product or recipe offer it only upon purchase, and only to those guests who will choose to buy it. But not in Hotel Sacher Salzburg! 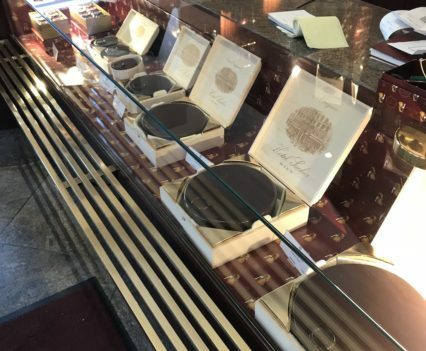 Having in mind the consumers’ psychology of ‘first try then buy’, the hotel makes sure that each guest will taste the Original Sacher-Torte, at least once. So, the standard welcome treat in every room is always a ‘Sacher-torte cube’, while the guests can enjoy a full piece of the cake (served with unsweetened cream, as recommended), during breakfast. This tactic allows everyone to have a taste of the cake and convince them to buy some more for their friends and family back home. 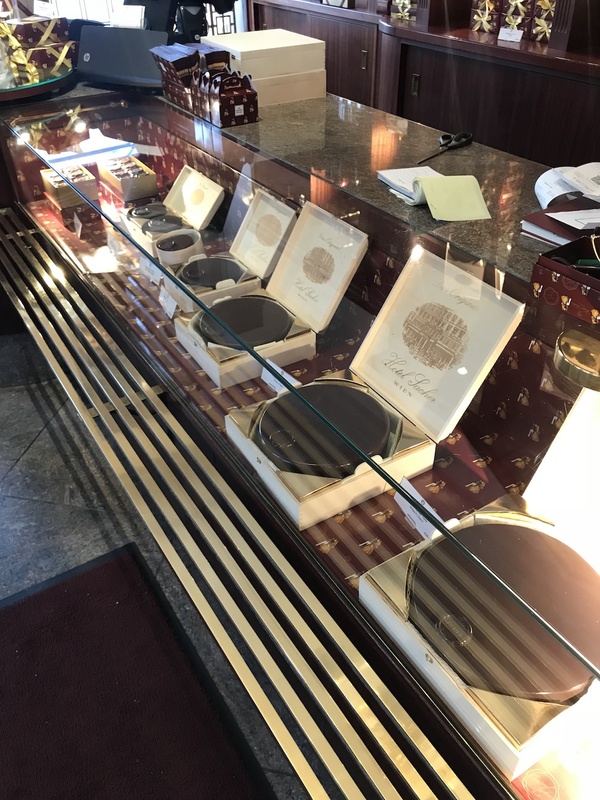 Taking the concept to the next step, the Hotel’s team has made sure that chocolate, the Original Sacher-Torte’s main ingredient, is present at all times during a guest’s stay. And what is the best way to keep something always with you? Wear it. 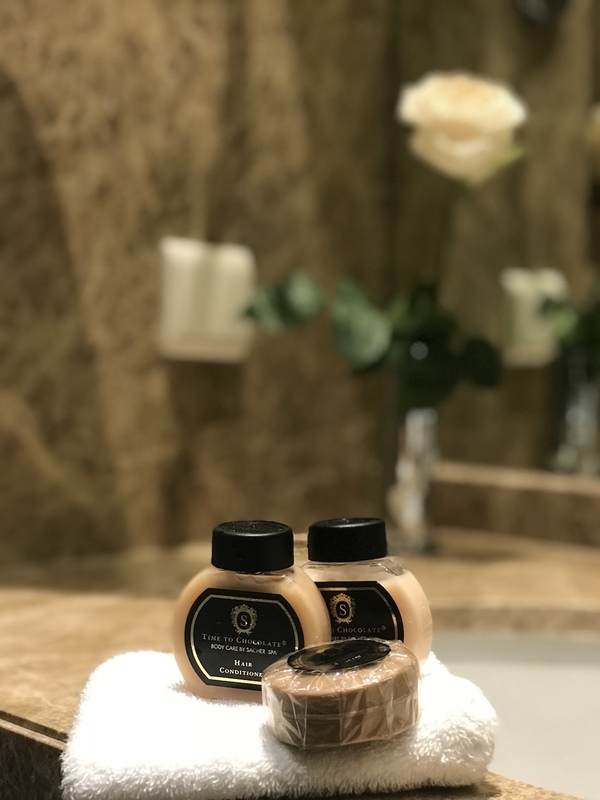 All the bathroom amenities in Hotel Sacher Salzburg, soap, shampoo, shower gel, body milk etc, are specially created for the property, making sure to deliver a light, pleasant and distinct chocolate scent. It is, actually, pretty nice to get out of the shower with your hair smelling like a chocolate bar, or wake up in the morning with your skin smelling like chocolate mousse! Et voilà: chocolate sticks in the guest’s mind (and nose), hence it is only natural to ask for a piece of the Original Sacher-Torte on every occasion! 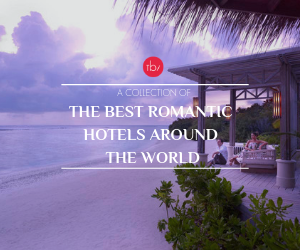 Even though Hotels mainly focus on attracting foreign visitors, whether they are travelling for leisure or business, it has been proved that the most successful properties are the ones that manage to integrate with the local reality and be embraced by the local people. Hotel Sacher Salzburg has surely managed to achieve this. 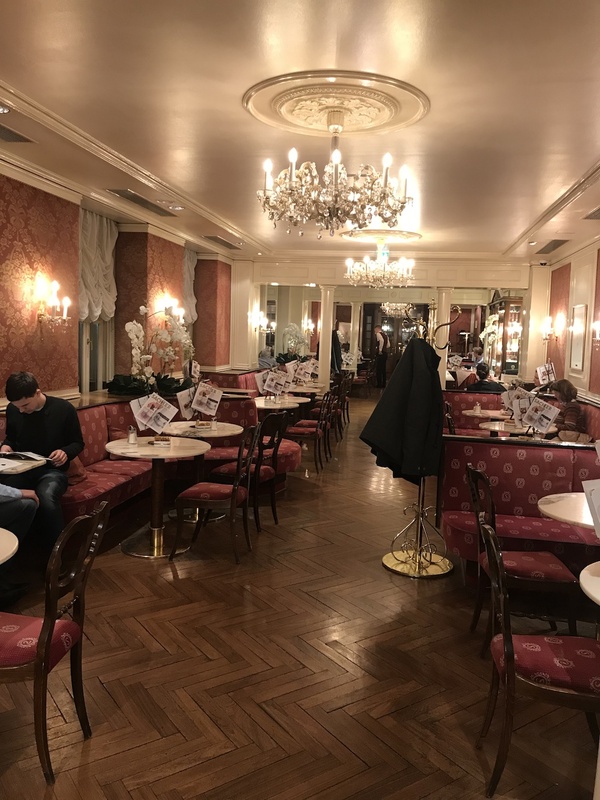 In addition to its well-known restaurants, Hotel Sacher Salzburg is also the home of Café Sacher Salzburg, one of the most popular places in the city for coffee, light meals, and desserts. 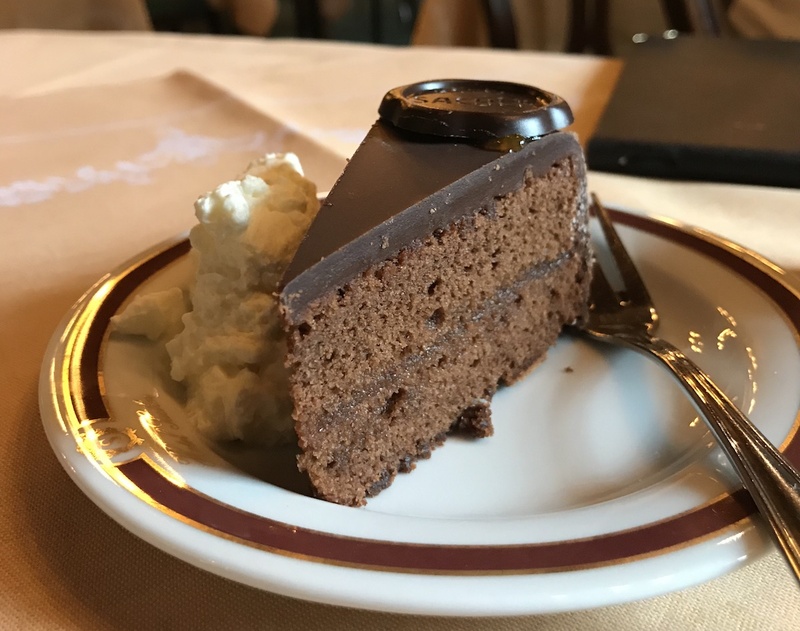 Locals always choose the café when they want to enjoy a piece of the Original Sacher-Torte, as the cake is only sold at the hotel. The fact that the café is so popular among locals, attracts more visitors as well — not only hotel non-residents who want to visit this famous place and taste the cake but also guests who are staying in the hotel. Because, when you realize that one of the city’s most popular places is located right in the hotel you are staying in, there is really no need to go out looking for something else! And it’s not just the café. 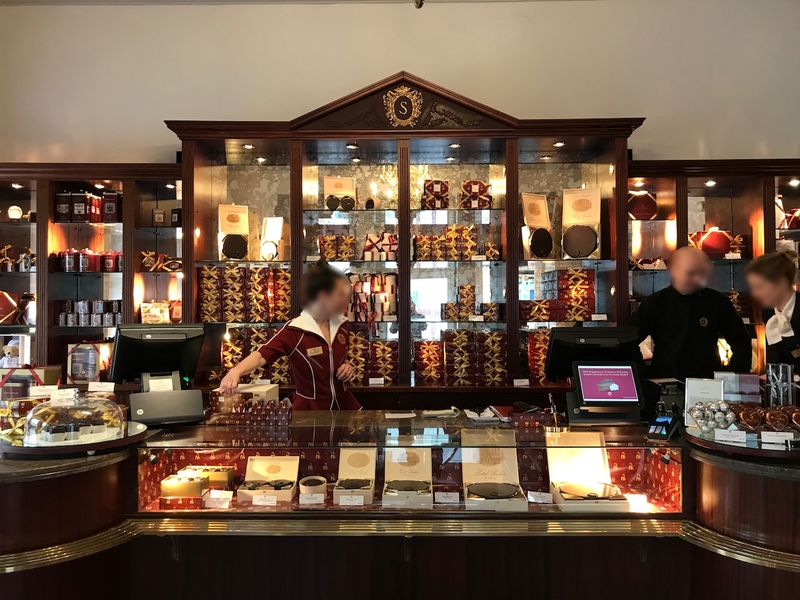 Hotel Sacher Salzburg also hosts the Sacher Confiserie Salzburg, which is actually a beautiful small confectionery shop, selling — what else? — the amazing Sacher-torte. And, once again, the hotel’s guests are truly excited to realize that one of Salzburg’s most popular ‘souvenirs’, is sold right under their room! Hotel Sacher Salzburg’s design reflects the long history of the Austrian empire. The furniture, the wall coverings, the colours and all the materials used, create a unique result that makes you feel like staying in Empress Sissi’s room. The excellent mattresses, the luxury amenities, and the high-end facilities complete the accommodation experience and create a positive feeling for the guest. But it’s not just the rooms. Each department in the hotel, particularly the F&B outlets, have different styles and characters, underlining the property’s high standards. 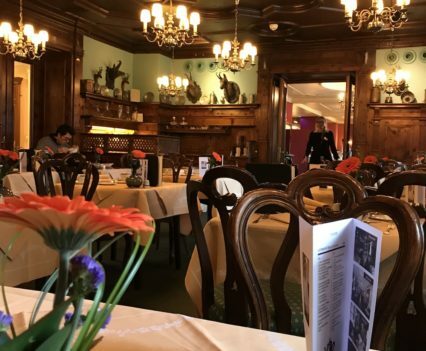 So, the Zirbelzimmer restaurant is decorated with hunting trophies of wild game, while the hotel bar travels you to a unique, 19th-century all-red room decorated with paintings and precious carpets. 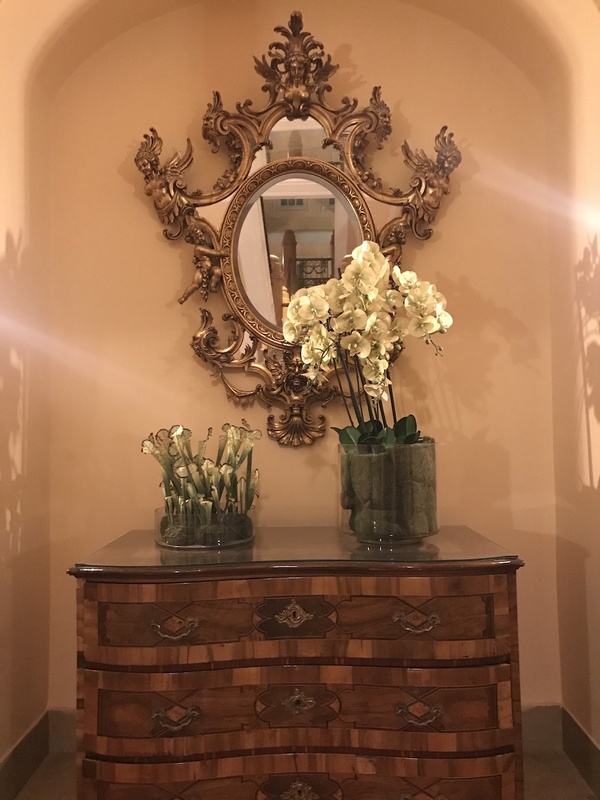 The design concept of the hotel extends to the building’s hallways as well, which are mainly decorated with old pieces of furniture, dating back to the 19th and 20th centuries. Hotel Sacher Salzburg is proud to have a selected team of excellent hospitality professionals. 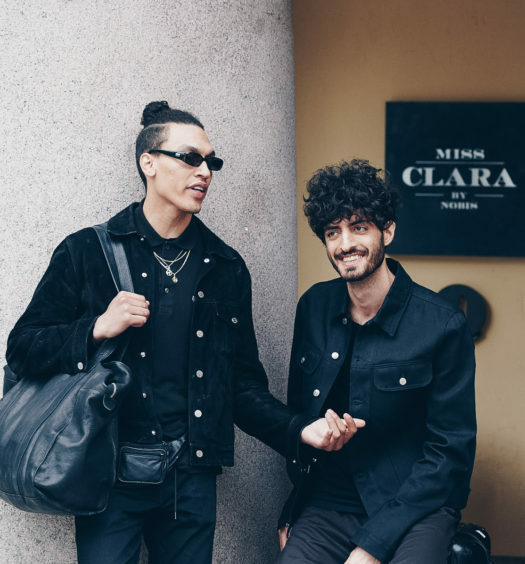 The staff manage to stand out for their politeness, their warm smile, and their elegantly friendly attitude — an element that is scarcely found in high-end hotels. 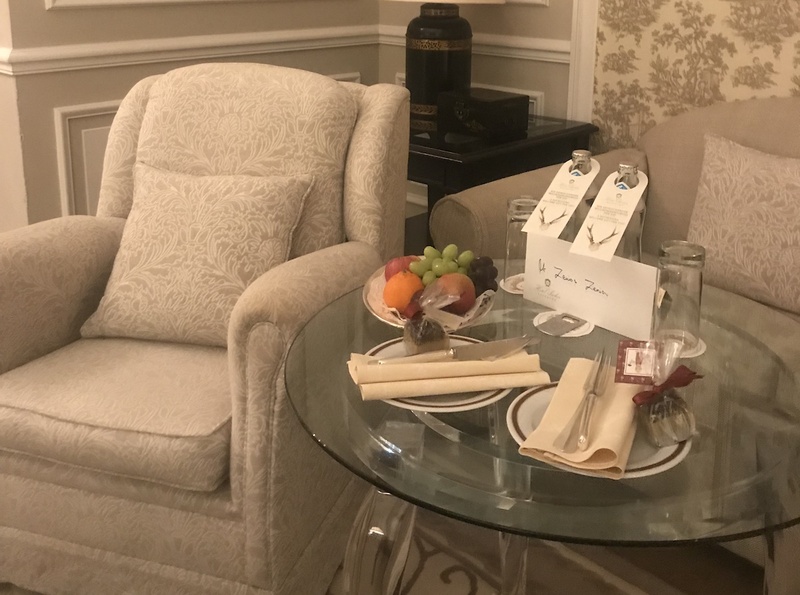 However, the biggest pleasant surprise is the housekeepers, who are extremely sweet and welcoming (plus, they speak excellent English) and will make you think that when Hotelier Academy calls the housekeepers ‘the hotel’s mums’, does, actually, have a point! Going through the hotel’s reviews across the Internet, one can easily realize that this personal and friendly approach, followed by the Hotel staff, is among the most common things the guests mention, and surely plays a significant role in guaranteeing more positive reviews. 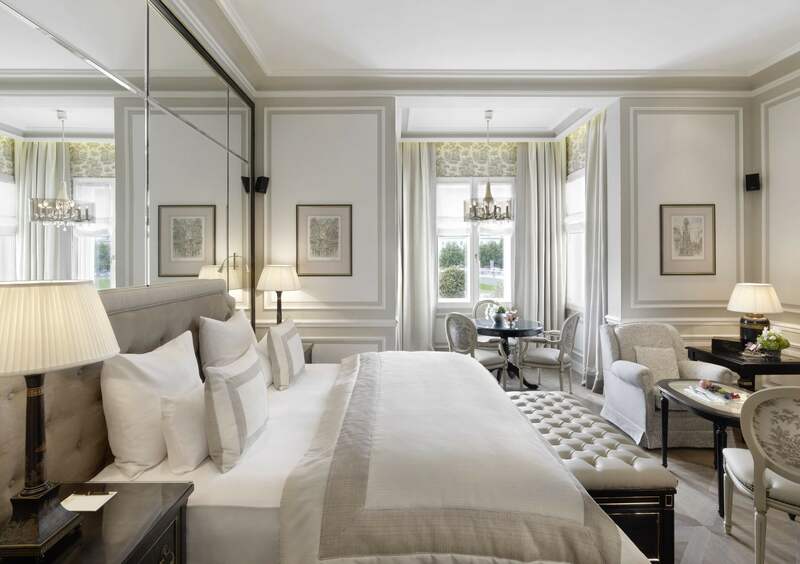 Hotel Sacher Salzburg is a true case study, that shows how a luxury hotel can be much more than simply beautiful rooms and expensive prices. 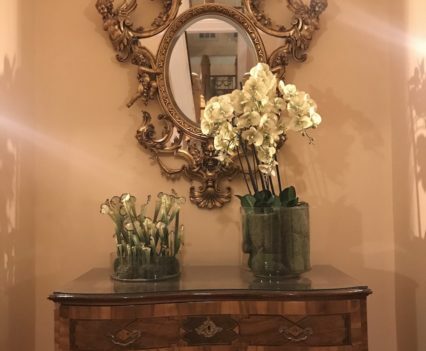 A luxury hotel can be friendly, warm and welcoming, while, at the same time, it makes sure that each guest will live an unforgettable experience, linked, not only to the hotel and its history, but to the destination as well! 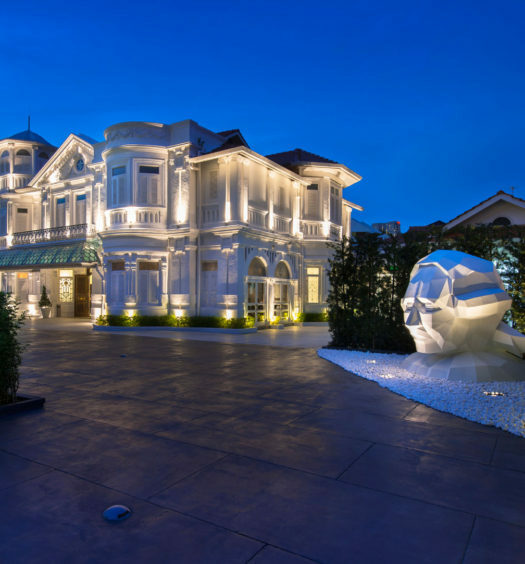 See how a Hotel has made its guests, its dedicated photographers!